I did not stop working on Labor Day. I continued to reach out via social media to people in Chicago and around the world who are concerned with the well-being of people and the planet. I've been building a web library that points to some of these people since 1993 and spend time every day trying to connect them to each other and to myself, while increasing attention and support for everyone in the network. Here are two Slideshare presentations that show what I've been trying to do. This one shows role of intermediaries, consultants and others who could be doing the same as I'm doing, or helping me do it. These are just two of 46 presentations I've placed on Slideshare since 2011. 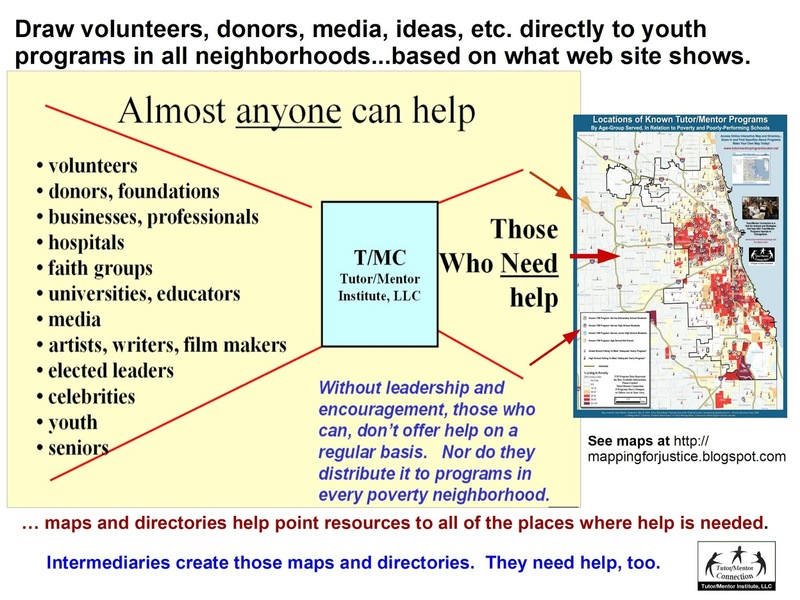 I started creating visual presentations in the late 1990s to explain work of the Tutor/Mentor Connection and the youth tutor/mentor program I was leading. 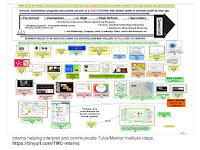 In 1998 we created the www.tutormentorexchange.net web site and I started putting the PDFs on line. Now in the Library page on the site you can see a long list of presentations, including some I've place on Scribd.com as well as on Slideshare. Between 2006 and 2015 interns who worked with me in Chicago created many new versions of articles that I first launched as PDF essays and/or blog articles. My hope is that students and volunteers from many places will continue this work, as part of their own effort to expand the network and help other people get strategically involved. I've used many visualizations over the past 20 years to communicate ideas. Some I've embedded in presentations. Others in blog articles. I've put some of those on Pinterest. 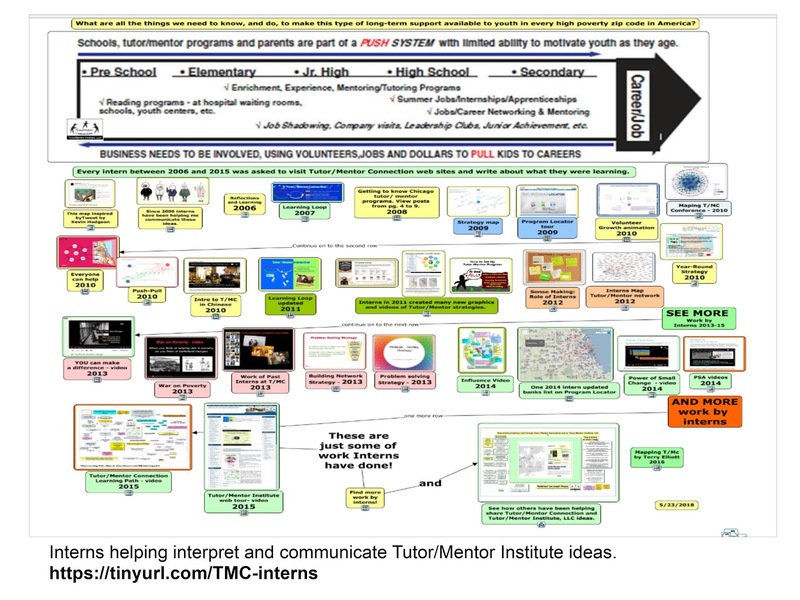 Others can be found by doing a Google search for "tutor mentor" than adding any of the words from the column of tags on the left side of this blog. Once you do the search, look at the images. You'll find many of mine. Of course, to keep doing this work I must find a sponsor, benefactor and/or a whole lot of people willing to make small contributions to fund me. If you're one of those people, visit this page and use the PayPal to send a contribution. Can you help Fund the Work I'm Doing?